1925: Hejaz Govt. three line overprint in blue (14 mm.) on ¼ pi. 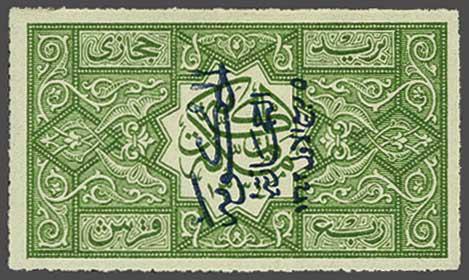 green, rouletted 20, mint example with overprint reading down 'Overprint Inverted', fine example with large part og. An extremely scarce stamp. Cert. 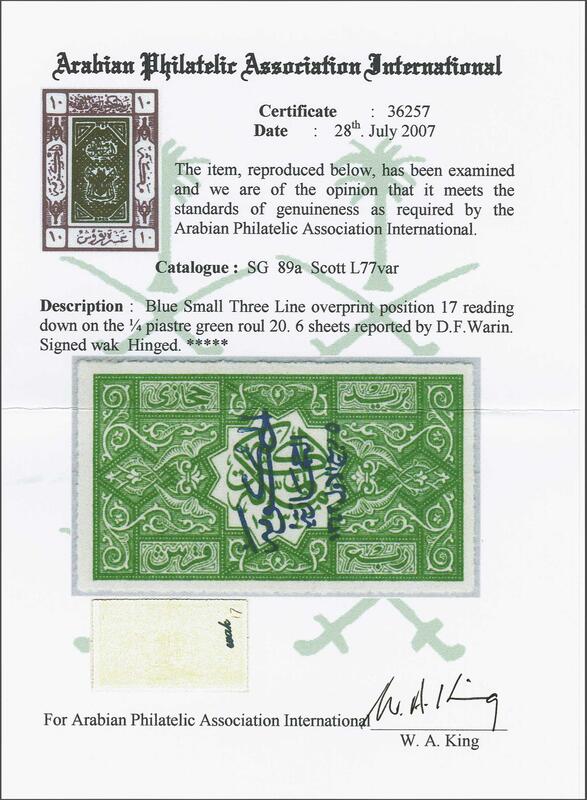 Arabian Philatelic Association (2007) Scott L77 var = unpriced/Gi = £ 1'700.